Following a highly successful West End run/a run of two and a half years in the West End and a sell-out tour in 2017/18, Paul Blake, Sony/ATV Music Publishing and Mike Bosner in association with Michael Harrison are delighted to announce that the Olivier, Tony and Grammy award-winning BEAUTIFUL – THE CAROLE KING MUSICAL will hit the road again and tour throughout the UK and Ireland in 2020, opening at the Churchill Theatre Bromley on 11th January. Cast to be announced. Some new casting has been announced for Wicked at the Apollo Victoria Theatre which is booking until 23rd May 2020. 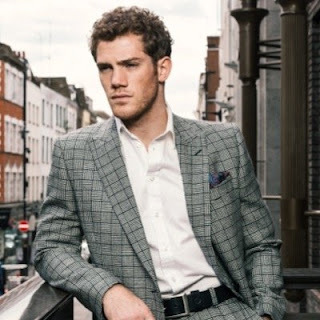 Alistair Brammer, known for his role as Chris in Miss Saigon on Broadway and in the West End as well as Marius in Les Misérables and War Horse, will take on the role of Fiyero from 22nd July 2019. David Witts, who is currently playing the role at the will have his final performance on Saturday 20th July 2019. 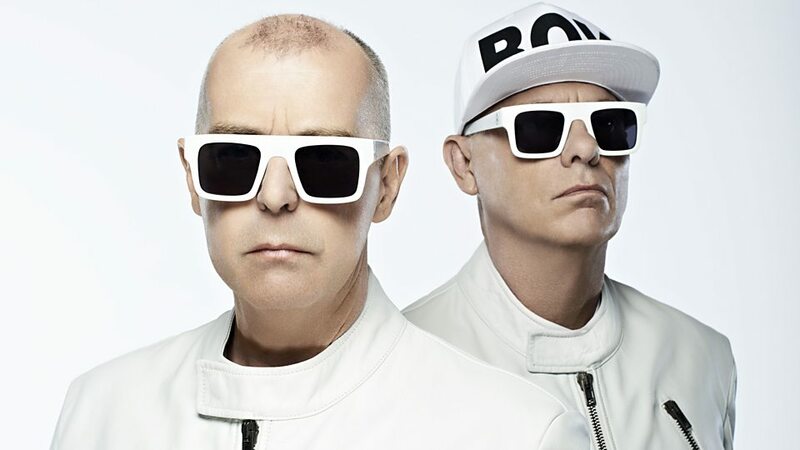 Further casting for the West End production is to be announced. 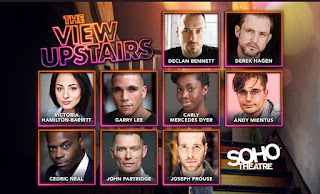 An impressive cast has been announced for the European premiere of the LGBT US musical The View Upstairs at Soho Theatre which runs from 18th July-24 August with a press night on Tuesday 23 July. Andy Mientus, Declan Bennett, Victoria Hamilton-Barritt, Cedric Neal and John Partridge will star as Patrick, Dale, Inez, Henri and Buddy. Broadway and television actor, Andy Mientus will be making his UK theatre debut. He has starred in numerous musicals including Marius in Les Misérables, and Hanschen in Deaf West Theater's revival of Spring Awakening, which he also co-conceived with director Michael Arden. He played regular character Kyle Bishop on the TV show Smash opposite Debra Messing, Jack Davenport and Katharine McPhee. He can currently be seen in the new NBC/Universal/WGN America series Gone starring Chris Noth, as well as the upcoming anthology series Dolly Parton's Heartstrings on Netflix. John Partridge is well known for his extensive TV work, including Christian Clarke in EastEnders (BBC), winning Celebrity MasterChef (BBC), participating in BBC1's gymnastics show Tumble and being a judge on Over the Rainbow (BBC). John began his career at the age of 16 in the original UK tour of Cats and subsequently went on to star as Rum Tum Tugger in both the West End production and the film opposite Elaine Paige and John Mills. John's other theatre credits include Zach in A Chorus Line (London Palladium), Robert Martin in The Drowsy Chaperone(Novello Theatre), The Fix (Donmar Warehouse) directed by Sam Mendes, Billy Flynn in Chicago (national tour), in Miss Saigon (national tour). He is currently playing Turai in Tom Stoppard's Rough Crossing (national tour). Declan Bennett, is best known for playing t Charlie Cotton in EastEnders from 2014 to 2017. He was in boyband Point Break before beginning his career on stage, where he has starred in shows such as Jesus Christ Superstar (Open Air Theatre), Once (Phoenix Theatre), American Idiot (St. James Theatre/Broadway), Rent (Nederlander Theatre/Broadway/US National Tour), Fatherland (Lyric Hammersmith) and Kiss of the Spider Woman (Menier Chocolate Factory). Victoria Hamilton-Barritt's wide range of theatre credits include Kate in The Wild Party (The Other Palace), Joan in Miss Littlewood (RSC), Narrator in Murder Ballad (Arts Theatre), Daniella in In The Heights (Kings Cross Theatre/Southwark Playhouse), Diana Morales in A Chorus Line (London Palladium), Gypsy Rose Lee/Louise in Gypsy (Curve), Rizzo in Grease (Piccadilly Theatre) and Alex Owens in Flashdance (Shaftesbury theatre, No.1 Tour). Cedric Neal was a semi-finalist in The Voice, 2019 on ITV1, as part of Team Tom. Cedric has starred in Motown the Musical (Shaftesbury Theatre), played alongside Audra McDonald in the 2012 Tony award-winning Broadway production of Porgy and Bess, and recently played the Arbiter in Chess (London Coliseum). Also in the cast are Carly Mercedes Dyer (Hadestown, Dreamgirls, Memphis) as Henri, Gary Lee (Flashdance, Ghost) as Freddy, Joseph Prouse (Hadestown, Beautiful: The Carole King Musical, Jersey Boys) as Richard and Derek Hagen (The Twilight Zone, 20th Century Boy & Carousel) as Cops/Realtor. Casting for the role of Wes to be announced. 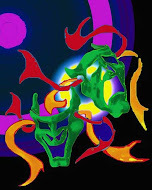 The musical opens in present day when Wes, a young fashion designer buys an abandoned space, not realising this had been the UpStairs Lounge, a vibrant '70s gay bar in the French Quarter of New Orleans, which, in 1973, was burned down in an arson attack, killing 32 people, and making it the worst attack on the LGBTQ+ community until the 2016 shooting at The Pulse nightclub in Orlando. THE VIEW UPSTAIRS brings to life this forgotten community and takes the audience on an exhilarating journey of seduction and self-exploration, celebrating the lives of those forgotten, while featuring a soulful, rock and jazz score. 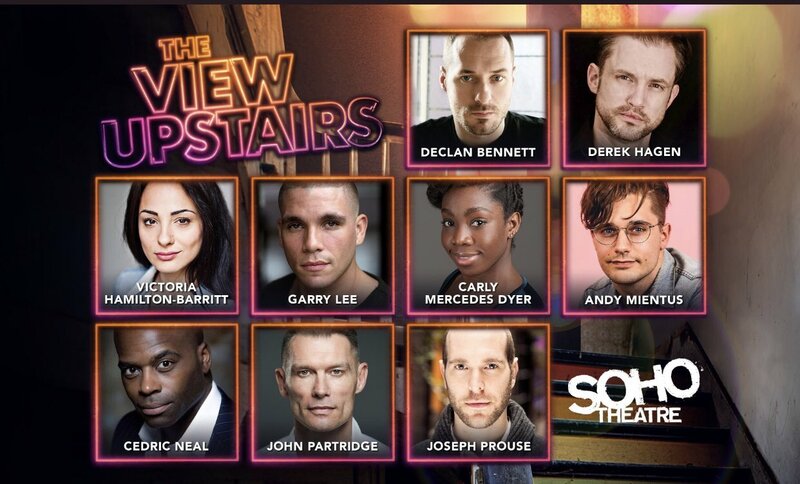 The View Upstairs has been written by Max Vernon and will be directed in London by Jonathan O'Boyle with choreography by Fabian Aloise, set and costume design by Lee Newby, lighting by Nic Farman, sound by Adam Fisher and casting by Will Burton. Bill Kenwright has again joined forces with Paul Taylor-Mills (the last time was on the hit Heathers Musical) to premiere a new musical based on the 1999 cult movie Cruel Intentions in Edinburgh from 1st-25th August at the Palais du Variété Spiegeltent at Assembly George Square Gardens , marking the 20th anniversary of the original film which was an adaptation of Pierre Choderlos de Laclos’ 1782 novel Les Liaisons dangereuses directed by Roger Kumble, and starred Sarah Michelle Gellar, Ryan Phillippe, Reese Witherspoon, and Selma Blair. 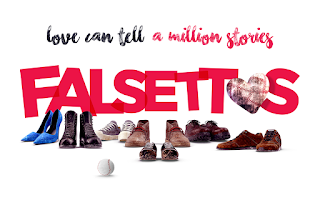 Set among a group of wealthy teenagers at school in New York City, the musical is the story of two of Manhattan’s ‘most dangerous liaisons’, Sebastian Valmont and Kathryn Merteuil who live in a manipulative world seduced by revenge and fuelled by passion as the step-siblings bet on destroying an innocent girl. Weaving a web of secrets and temptation, they become entangled in the cruellest game of all... love. 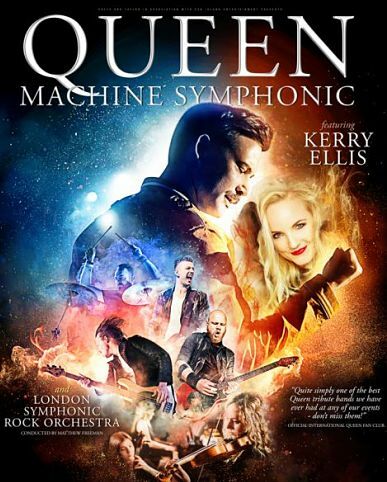 The all-new tour Queen Machine Symphonic featuring Kerry Ellis will see Queen’s greatest hits performed by leading European tribute band Queen Machine accompanied by the London Symphonic Rock Orchestra conducted by Matthew Freeman, creating an unforgettable night of rock anthems. Bjarke Baisner fronts Queen Machine, sounding and looking like a young Freddie Mercury, joined by Peter Møller Jeppesen on guitar, Henrik Østergaard on keys, Jens Lunde on bass and Paolo Romano Torquati on drums. Joining them will be the UK’s leading lady of musical theatre Kerry Ellis, who originated the role of Meat, in Queen musical We Will Rock You. Since then, she’s forged a long-standing musical relationship and friendship with Queen guitarist Brian May, who describes the stage star as having “Britain’s most beautiful voice”. 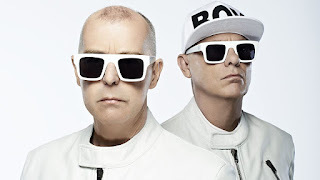 He produced her debut album Anthems, and they jointly released the follow up Golden Days in 2017, as well as extensively touring the UK and Europe together.